Featuring key attributes and rankings on metrics such as quality, client testimonial and more – this report is designed for helping you in the decision-making process. Over the past few years, we have witnessed the rise of blockchain in the app industry and how this emerging technology is taking over the various sectors including retail, banking, transportation, etc. With the help of this report, our objective is to bring awareness to all the brands, app developers and blockchain enthusiasts, who are looking forward to getting their app built on this trending technology. Go through the company’s previous blockchain projects. Ask for the level of expertise of their blockchain app developers. Check out all the blockchain-related services offered by the company. Make sure to take a look at previous client reviews and testimonials. Ask about the technologies and tools being used for app development. the basics to the end-user. So these were some of the basics that you need to know when it comes to choosing the best blockchain app development company. Now with that being covered, let’s move on the main part. After an immense amount of research, our blockchain experts have curated this list of top blockchain app development companies to make your R&D process a tad easier. ArcTouch has been providing the web and the mobile app development services for quite some time and lately, it has ventured into blockchain development. The award-winning design agency also offers solutions regarding IoT, custom iOS, Android, and Xamarin apps, as well as AI bots for conversational platforms like Amazon Alexa and Facebook Messenger. Right from the strategy to planning the development and designing the solutions, the enterprise plays every role dominantly in offering the best solutions to the clients. Appinventiv’s journey from the best mobile app development company to now a blockchain app development firm is as impressive as the suite of services it has to offer to its clients. The cutting-edge blockchain service from Appinventiv is another reason for its splendid growth in a short time period. The engineers at Appinventiv look forward to hearing the specific requirements from the clients in order to develop apps that could solve these issues. OpenLedger is an innovative blockchain services provider, focusing on delivering high-performance, versatile blockchain solutions to enterprise clients and start-ups. Focusing on real-world business applicability, OpenLedger develops rapid and scalable custom blockchain and Dapps on Hyperledger, BitShares, EOSIO, and Ethereum. OpenLedger also develops bespoke private and public blockchain for its enterprise clients. PixelPlex has already made its mark in the field of blockchain tech companies with offices in over 100 countries, and the company strives for the best. PixelPlex already has its hands on the blockchain with big data, cybersecurity, artificial intelligence, and cloud development. The company aims to churn out groundbreaking solutions with the help of its cutting-edge web and mobile solutions. The market-leading blockchain technology company focuses on the harvest of Blockchain technology in such a way that allows the progress to the next generation of the Web. ConsenSys aims to grow by building apps, platforms and web 3.0 tools. The company has a perfect blend of the world’s leading blockchain experts who can even collaborate with others. Contus blockchain technology applications are designed to immediately deliver exceptional value to the clients. The blockchain brigade of Contus is an impressive one that is well aware of all the technical advancements happening in the related technology. The client-oriented approach has helped the company to achieve tremendous growth in a short timespan. A trusted blockchain app development company that has a global identity. Creating mobile applications, blockchain tech solutions, and AI services are the prominent functionality of the enterprise. Besides blockchain solutions, the marketing techniques from Mobisoft Infotech are developed keeping the client’s requirements into the mind. Based on specific needs, the blockchain app requests vary from enterprise to enterprise. Steelkiwi utilizes modern day frameworks that focus on scaling up blockchain applications to a whole new level. Steelkiwi is known for its agile methodologies AND methodS of providing the services makes it one of the most renowned contenders in the list of blockchain app development companies. LeewayHertz’s blockchain applications are making a difference in the blockchain ecosystem impactfully. It’s blockchain solutions are aimed at serving the needs of startups and emerging enterprises. Their areas of expertise include designing, developing, deploying and maintaining digital technology products and apps on the blockchain. In addition to this, the firm also offers services for AI mobile apps, IoT and Cloud platforms, LeewayHertz builds an end to end solution for businesses. 10 Clouds is an agency that manages the entire blockchain development and solutions with the help of its exceptional engineers who have great years of experience. 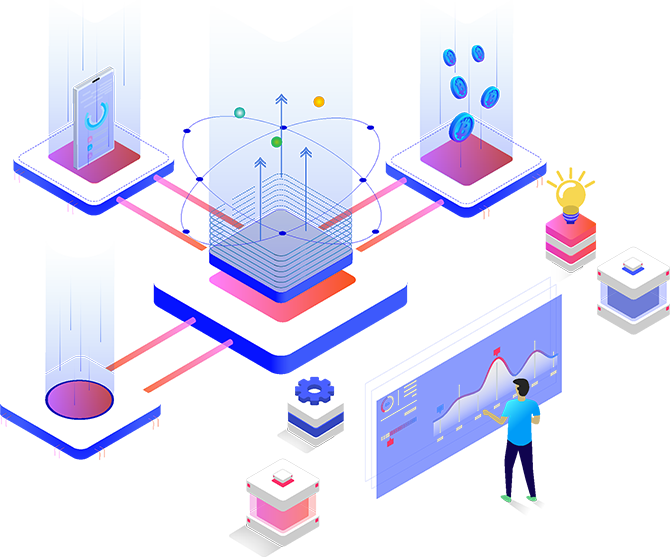 Whether it is about designing the new blockchain project or merely getting an app with Android and iOS as the primary component, the team is redefining the design work. The team has experienced developers, skilled blockchain enthusiasts, interactive designers and other such professionals who are passionate about helping their clients. Fueled nucleus areas are designing and developing mobile apps on different platforms and cater to the entire space from startups to big brands. The team takes all the clients’ requirements into consideration and customizes the product accordingly. Besides, Fueled has also made its presence felt in the Blockchain domain by crafting some state-of-the-art products and thus calls for its inclusion on the list of top Blockchain app development companies. Since 2013, this industry-leading mobile and web development company has assisted startups, entrepreneurs and SMEs in developing excellent apps and software. The company not only focuses on churning out world-class products but also supports full-stack solutions. The Cheesecake Labs team is also making huge strides in the Blockchain app development and has recently developed Blockchain-based apps. Nine Hertz is another blockchain app development company that has experience in working with distributed ledger technology including blockchain and has deployed Smart Contracts using Solidity and Ethereum solutions that have helped the company. Furthermore, the blockchain solution has helped the mobile app development agency reach a new zenith. Altoros is a consultancy and professional services company that helps in turning innovative technologies into sustainable products. For a full-proof development process, the company offers a complete methodology, technology building blocks, training, and end-to-end solutions for blockchain, AI, and cloud automation. Before we talk about the MobileAppDaily’s process of shortlisting blockchain app development companies, we want to clarify the fact that the above-mentioned names are listed in no particular order or preference. With that being said, our team of analysts regularly releases well-researched and highly informative reports featuring some of the best app development companies from different industry verticals like healthcare, marketing and so much more. And in the coming days, MobileAppDaily will also be releasing reports that are specific with respect to factors like the range of clients’ budget, geolocation of the company, etc. So if you are looking forward to getting acquainted with some of the top players of the mobile app industry then our advice would be to stay tuned with us!